Always good to see Nick Cave’s 9-to-5 office hours paying dividend, whichever outlet from which it may emerge. 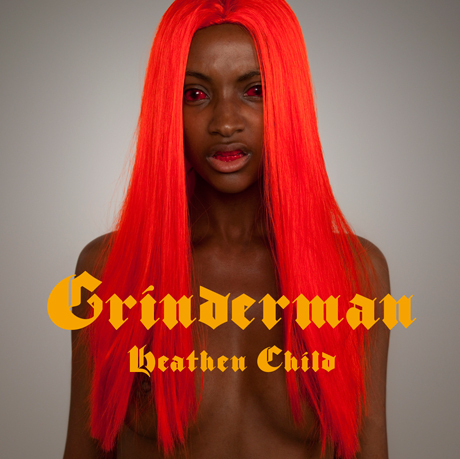 Grinderman’s eponymous first album was a lecherous riot and a blessed offering to Onan. This time round, the primates are out and the wolfman is in, as evidenced by artwork and lyrics currently doing the rounds. None of this can prepare you, however, for the hungry, visceral power of lead single, “Heathen Child”, which is best heard in conjunction with its John Hillcoat-directed video. Warning: this video is nothing like The Road. Consistently hilarious in its lyrics (“She don’t care about Allah – she is the Allah”) and bursting with Warren Ellis’ typically squalling noisemakers, “Heathen Child” is a seething, slithering mountain of MENACE, and it’s out to get you, personally. Oh, and did I mention there’s a special version of the song (entitled “Super Heathen Child”, because Nick Cave doesn’t care about looking ridiculous) engorged with a guitar solo from Mr. Robert Fripp? The album, Grinderman 2, is out on September 13th. Prepare for a snarling monster of bluesy madness that makes Jack White’s chimerical side-projects look like Fisher Price nursery rhymes. Have I missed you? Greatly. Have I abandoned you depuis longtemps? Too right. Have I been selling my wares on Twitter and Tumblr like a woman of the night? Sadly, yes. Am I back here for good? Let’s hope so. Enough of the rhetoric. I’ve cherry-picked seven fine albums from the first quarter of this year, and given them a brief bit of spiel extolling my love for them. Oh, and they’re kind of in an order of preference, which, I can assure you, was a challenge. 1. 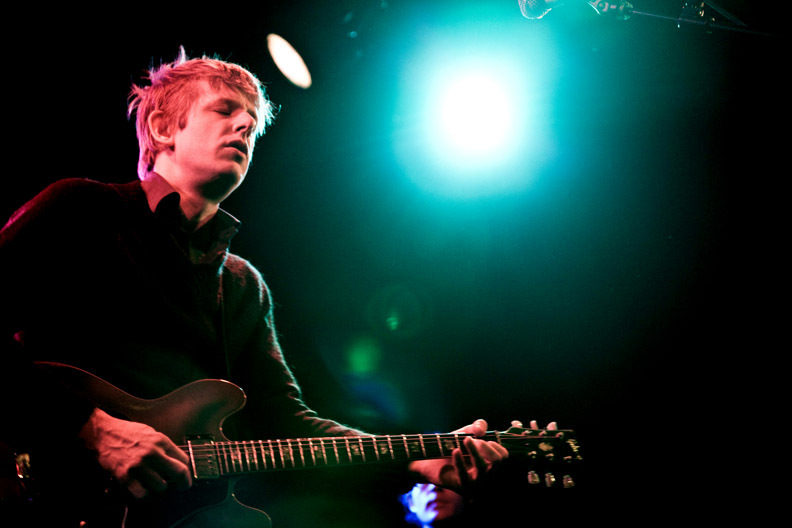 Transference – Spoon. In which the masters of concision pretended to loosen up a little, making a work of carefully considered ragged beauty. From the hesitant organ drone pulsing through opener “Before Destruction”, to the distant, measured funk of “Nobody Gets Me But You”, Transference makes every hyped lo-fi band seem overly amateur in their efforts – Jim Eno and Britt Daniel have laboured night and day to give their latest baby the kind of off-the-cuff aesthetic that only painstaking production can really pull off. Songs end abruptly, mid-phrase; Britt Daniel’s vocals are warped and garbled to heighten our disorientation. It’s an exercise in melancholy as art form. 2. Contra – Vampire Weekend. Gone are the campus tales of fun and frolicking that was the backdrop to my first year at university. In their stead are a range of musically ambitious, lyrically sophisticated compositions that are undoubtedly a bit less fun, but substantially more far-reaching. This, as I wrote previously, is about Ivy League graduates going out into the real world and discovering how out-of-touch they are. It’s there in the wistful, nostalgic tone of “Taxi Cab” and “Diplomat’s Son”; at the same time, Contra also has its fair share of zany pop moments, in the riotous early Police ska-punk of “Cousins” and the typeface-referencing “Holiday”. Contra is probably a superior creation to Vampire Weekend, even if it’s a bit less immediate and catchy. 3. Sisterworld – Liars. Not since their début have Liars made an album so song-focused as this, their self-confessed L.A. record. Sisterworld is sinister and twisted, and boasts the kind of gothic creepiness even Nick Cave shies away from nowadays. It’s scary stuff, especially when frontman Angus Andrew screams “AND THEN KILL THEM ALL!” in the middle of “Scarecrows On A Killer Slant”. Elsewhere, the three-piece explore tight, muscular grooves (which go all motorik on “Proud Evolution”), and then suddenly veer into hazy near-instrumentals like “Drip”. Sisterworld reminds me of a more focused cousin of Deerhunter’s excellent Microcastle, albeit with the shoegazey moments being interspersed more evenly through the record, as opposed to being clumped together in the middle. Throughout, Liars display their usual dark humour that can make the listener wince, and then grin with wild, untamed delight. 4. Plastic Beach – Gorillaz. Possibly the finest Gorillaz album yet – though Demon Days set the bar very high last time round. The tenuous narrative arc is now quite removed from the music (preferring instead to manifest itself through the packaging, the online experience, and every other marketing avenue Albarn/Hewlett/EMI can explore), and the songs are probably all the better for it. Albarn hasn’t made such a startling variety of great pop music for a very long time – at least, not in one single artistic endeavour – and the breadth and depth of Plastic Beach is startling. On “White Flag”, he crosses extremely authentic Arabic orchestral arrangements with 8-bit grime; standout track “Sweepstakes” pits a multi-tracked Mos Def against polyrhythmic vibes and brass. You couldn’t make this stuff up. The only real mis-step is on 80s-synth-pop-by-numbers “On Melancholy Hill”, but even this has its charms, I suppose. The jury’s out on whether Plastic Beach does better when Albarn sings, or when he gets his Rolodex out. For me, I think the two sides of Gorillaz’ craft are now so utterly complete that it doesn’t really matter. This is the kind of intelligent pop music that reassures the chequebooks of EMI bigwigs, and also appeases music critics who were a bit suspicious of Albarn’s doubtless artistic largesse. I’ve said this a lot, but he’s a true polymath, and the proof is plain to see on Plastic Beach. 5. One Life Stand – Hot Chip. One criticism levelled at this fourth album from the south London electro-geeks is that it’s too saccharine; too lovestruck. To me, that’s a strength, not a failing. Yes, the in-jokes were dead funny on their previous three albums (“I’m sick of motherfuckers tryna tell me that they’re down with Prince” was one particularly witty lyric), but this time round, Hot Chip have finally realised that they are the true inheritors of our long heritage of great songwriters – to the list that includes Paul McCartney and Robert Wyatt, we can now append the names Joe Goddard and Alexis Taylor. One Life Stand is built around a middle triplet of songs that are, yes, slushy, but that shouldn’t take away from their undoubted beauty and heartfelt emotion. They write great love songs, and they just so happen to perform them with predominantly electronic instruments. Why should that be so irreconcilable? And why don’t more bands use steel drums to such great effect?! 6. There Is Love In You – Four Tet. Not an album of dance music per se, but certainly an album of music you can tap your feet to, and swivel about in your office chair. The last album I said that about was Battles’ Mirrored, and indeed, Kieran Hebden’s long-awaited fifth LP shares with that album a sense of playfulness and joy at the primal essence of being alive, and connected to technology in a totally organic way. There Is Love In You practically bounces through your headphones, so enraptured is it with the thrill of existence. 7. Field Music (Measure) – Field Music. If you go on hiatus because you feel your music probably has too limited an audience, it’s generally considered surprising to return with a 70-minute double album that decants late period Fleetwood Mac, Led Zeppelin and Steely Dan into a heady cocktail. Nonetheless, this is what the brothers Brewis have chosen to do, and, happily Measure just about pulls it off, bearing testament to their vaulting ambition and artistic integrity. There are definitely weaker bits (the final quarter is overly bucolic and pastoral, if I’m being picky), but when Field Music shift into the correct gear on Measure, they really are at the top of their (admittedly niche) game. Songs like “All You’d Ever Need To Say” and “The Wheels Are In Place” are taut and structurally complex, and yet still fit into miraculously brief passages of time. The musicianship is unparalleled, the vocal harmonies are typically glistening, and it’s wonderful to have them back. The Brewis brothers are clearly extremely gifted musicians, who write songs (under the banner of Field Music) which are intricately arranged, structurally complex, and traditionally evoke XTC, Steely Dan and the Beach Boys. None of this makes their music particularly easy to love – though their Geordie voices are thick with region, they rarely let their emotional guards down, hence why some critics have labelled their music cold and mechanical and knowingly tricksy. None of this can prepare me for witnessing them live – an environment which accentuates their flaws as well as their virtues. Augmented by Ian Black and Kevin Dosdale on bass and guitar respectively, the band launch into Tones of Town opener, “Give It Lose It Take It” amidst found sound, glockenspiels, rousing piano and thoroughly excellent drumming. For a few songs at least, the playfulness is plain to see, and the predominantly Sunderland-bookish crowd rewards them with a whole lotta love. When the band cut to newer material, taken from the recent Field Music (Measure) double-album, the response is notably muted, because the band have to an extent abandoned the bucolic textures of their earlier work, in favour of a more guitar-based aesthetic that owes much more to Led Zeppelin, Fleetwood Mac and, on occasion, Queen. However, bereft of the intense personality bestowed upon these progenitors, the songs sound strangely lurching and mathematical. Though Field Music are, individually, some of the funniest, warmest and most virtuosic musicians, the sum is sadly less than its constituent parts. All the more infuriating is just how playful and quick-witted the band seem in between songs, where they deal with all manner of obstacles, from troublesome electricals to the bassist’s Hawaiian shirt. The Prince-meets-Sunderland funk of “Let’s Write A Book” is very much the exception to this disappointing revelation – for once, the groove is remarkably simple, and it evinces the band’s personality. For the middle chunk of the performance, songs like “Something Familiar” and “Each Time Is A New Time” are dispatched with maximum skill (replete with tasteful bluesy guitar licks) but less-than satisfactory enjoyment. I have really loved Field Music for far too long, championing them to my friends when their chips were down. Now, after a three-year hiatus, I find it hard to empathise with their new direction which, though on record comes across as lovingly crafted and “makes sense”, doesn’t work that well on stage. Though the band pad out the pure Field Music work with excerpts from their solo albums, I left with mixed opinions of a band who I thought I had really figured out. I feel like a whole week of music news passed me by, and only now have I realised the gravity of the announcements that I missed first time round. The first stroke of good news was the return of Field Music, which I discussed a a few days ago. Now, I absolutely have to get off my chest just how excited I am about a band/project/against-all-odds-miracle called Free Energy. When indie-rock also-rans Hockey Night shut up shop a few years ago, no one could have predicted that members of the band would someday wind up sharing a studio with James Murphy and Pat Mahoney (of electronic/disco production powerhouse the DFA) under a new guise. And yet, somehow, that’s exactly what’s happened, and the fruits of this unlikely match-up’s labours are now being revealed song by song. When news of this collaboration began being whispered about in hushed tones what seems like at least two years ago, I wasn’t actually hugely surprised. I always guessed there might be a love of FM rock and power pop lurking away in James Murphy’s heart, and it would appear that this guilty pleasure of his has finally found an outlet in the joyous riot of a party that is Free Energy. Their songs bounce around on chunks of guitar chords that have ridden straight out of a 1970s cabriolet. The drums are crisp and fills come tumbling out of the sky like confetti. The lyrics, delivered in an excited tone that suggests years of waiting for fame, are all about partying, the joy of relationships, and probably driving around America in a vintage cabriolet. At a time when power pop is being bludgeoned to death by increasingly puerile Weezer releases, and stadium/arena-rock is being pulverised and banalised by Kings of Leon, Free Energy are a breath of fresh air. Obviously, the production plays its part too, capturing the undeniably passionate sound of an unbridled electric guitar, alongside the occasional squelch of vintage synth. But importantly, the songs are there too – seemingly having jumped off the writer’s page, fully formed, snappy, catchy. The outfit recalls the perpetual enjoyment of Thin Lizzy and Tom Petty with none of the sneering irony of early noughties garage rock. These guys are dead earnest about having a blast, and I’m dead pleased that their debut album, entitled Stuck On Nothing, is going to be released on 26th January 2010. At least that way, it’ll have a good six months to settle into a groove in people’s consciousness before its true season – the summer – blasts off. Hit their MySpace for the lowdown, and be sure to check out the free single, “Dream City”.